A bill that would require children 14 and under to wear helmets when skiing or snowboarding in the state of New York failed to move in the Assembly Tuesday morning after it passed by the state Senate last week. 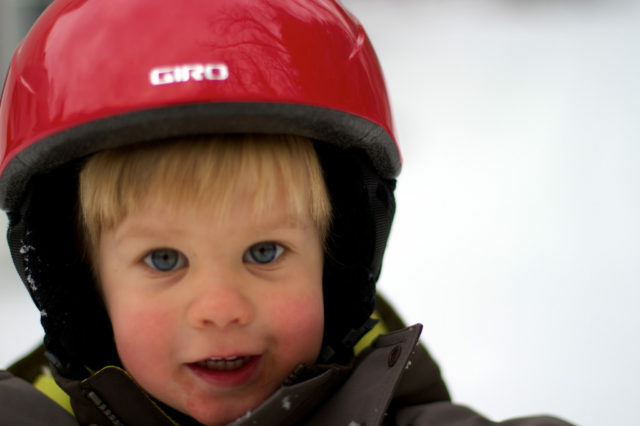 The Ski Safety Bill requires skiers under 14 to wear a helmet or be fined $50 and would be enforced by local law enforcement—yes, that means police officers ticketing kids on the bunny hill for sans helmet shredding. The bill also requires ski areas to have helmets available for sale or rent and to post signs advising customers the helmets are available. The bill's sponsor, New York State Senator Betty Little, acknowledges that most people, including children, already wear helmets but hopes making it a law will help parents of kids who aren't down with buckling into their brain buckets. No word yet on how or when legislation regarding grounding sentences for kids unwilling to eat their vegetables will come into play. According to Ski Areas of New York President Scott Brandi (who also helped write the legislation), approximately 90 percent of children under 10 years old are wearing helmets while skiing or snowboarding. He hopes the bill would help protect the state's ski areas from liability issues. "Liability insurance in the ski industry has been a major issue…So that’s why we crafted our bill," Brandi told WAMC Northeast Public Radio. During the past 10 years, more than 40 people have died skiing or snowboarding per year on average, according to the National Ski Areas Association. During the 2011-2012 season (the most recent data), 54 fatalities occurred. Of those deaths, 36 people were wearing a helmet at the time of the incident. During that same season, there were 510 reported serious injuries (paralysis, serious head, and other serious injuries). Among those seriously injured, only 30 of those involved were reported as wearing a helmet at the time of the incident. For now, it remains the skier's (or their parents') decision to wear or not wear a helmet while skiing. Our advice? Helmets are Cool. Here are some helmets we recommend that score high in safety and style.